This wallpaper was made on Photoshop CS some time ago. 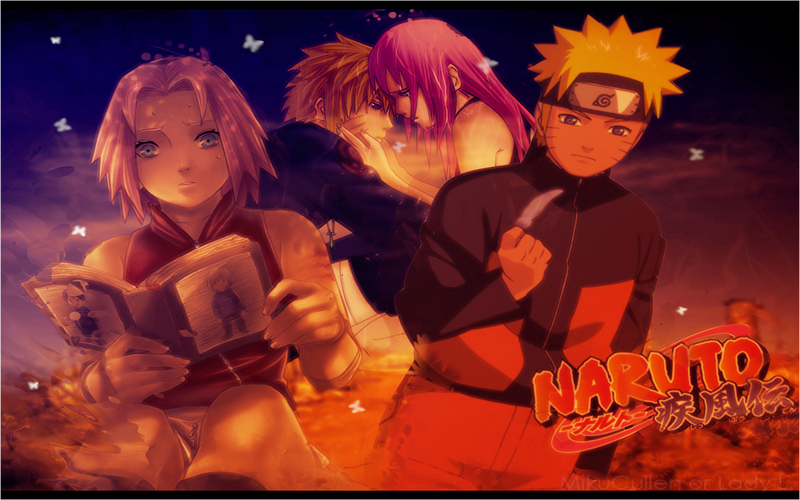 The principal characteres are Naruto and Sakura of anime and manga Naruto Shippuden from Masashi Kishimoto. I love the Naruto and Sakura matching. Please make more! NaruSaku all the way! I wish there were more of these!